Want to clear your record? Contact Lance Turnbow today! The most frequent question I’m asked from anyone who has been arrested is “What effect will this have on my record?” This is certainly understandable since most employers require a background check when someone applies for a job. There are a two options used to “clear” your record, the petition for non-disclosure, and expunction. The petition for non-disclosure is available to people who have been placed on deferred adjudication and successfully completed all requirements issued by the court. For certain misdemeanor offenses (like possession of marijuana) you are eligible to file immediately following your deferral period. For other misdemeanors, you are required to wait 2 years after completion of your deferral period. For certain felony offenses, a person must wait 5 years from the completion of the deferral period. A petition for non-disclosure seals your record and allows you to deny you were ever arrested for the offense. While certain law enforcement agencies can still use the information, employers are not able to find it. For more information regarding petitions for non-disclosure please contact the Law Office of Lance Turnbow. When you have an offense expunged, the offense is essentially erased from your record. If done properly, even law enforcement agencies should not be able to find it. 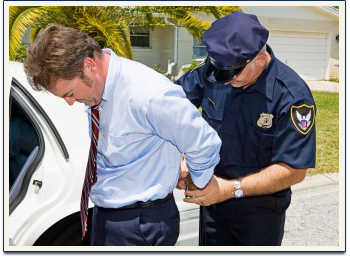 To be eligible to have an arrest expunged you must either be found not guilty of the offense or have your case dismissed without any type of court-ordered supervision. Once a judge grants an expungement, all agencies with documents regarding your case are obligated to destroy them. This can include the Texas Department of Public Safety as well as county and municipal law enforcement agencies. If you think you might be eligible for an expungement, please contact my office for a free consultation. If you are arrested in Texas you will see your mugshot online. A group of mugshot distribution companies are making a fortune by posting mugshots and charging people a fee to have them removed. However, if your case is expunged or sealed these sites must remove your photos. If they ignore the court’s order to do so they face civil and criminal penalties. If you are concerned with your mugshot being out there for everyone to see contact my office. My main goal is to erase this entire situation so you won’t have to answer questions about it later.